The purpose of this measure is to test the psychometric properties of a short form of the Dynamic Gait Index (DGI) for the clinical measurement of walking function in people with balance and vestibular disorders. People with balance and vestibular disorders having difficulty walking. This test was specifically constructed to be administered without using any equipment (cf. DGI requires cones etc.). With regard to the use of the 4-item DGI as a screening tool for falls, the higher specificity of the 4-item DGI suggests that a closer evaluation of fall risk factors is indicated if an individual has a score of less than 10 of 12. Marchetti GF, Whitney SL. Construction and validation of the 4-item dynamic gait index. Physical Therapy, 2006 Dec;86(12):1651-60. 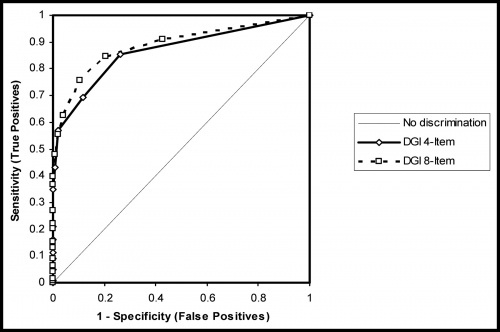 The clinical psychometric properties of the 4-item DGI were equivalent or superior to those of the 8-item test. The 4-item DGI can be used by clinicians to measure gait in people with balance and vestibular disorders without compromising important clinical measurement characteristics. 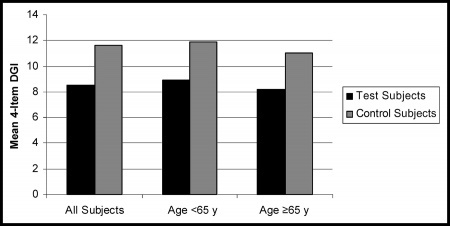 Dynamic Gait Index, the 4-item Dynamic Gait Index, and the Functional Gait Assessment show sufficient validity, responsiveness, and reliability for assessment of walking function in patients with stroke undergoing rehabilitation, but the Functional Gait Assessment is recommended for its psychometric properties. ↑ 1.0 1.1 Marchetti GF, Whitney SL. 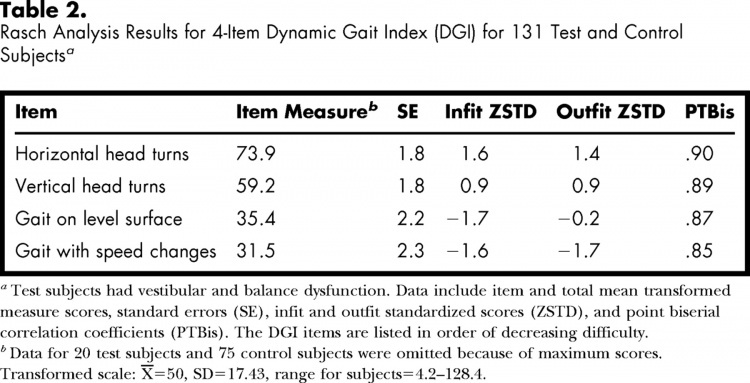 Construction and validation of the 4-item dynamic gait index. Physical Therapy, 2006 Dec;86(12):1651-60.